Don’t let a tight budget ruin your fun. These family Halloween costume ideas make it easy to strut your stuff in style with a few dollars and some creative recycling. Who knew a few boxes, tape, and wrapping paper could be turned into an amazing life-sized Tetris game. Or that a small quantity of fabric, felt and pillowcases could transform a traditional family into the Flintstones? There’s no limit to what a little innovative thinking can come up with. A trip to the thrift store and a quick look around the house can inspire cool family Halloween costume ideas. From Angry Birds to Oompa Loompas, and every other “Incredible” costume idea in between. So, put away your credit card and get ready to use your imagination. The experience will be priceless. Because her Halloween party would be in her house this year, Amanda wanted to make a costume that involved her whole family. Everyone got to have their own look while being part of the same theme. 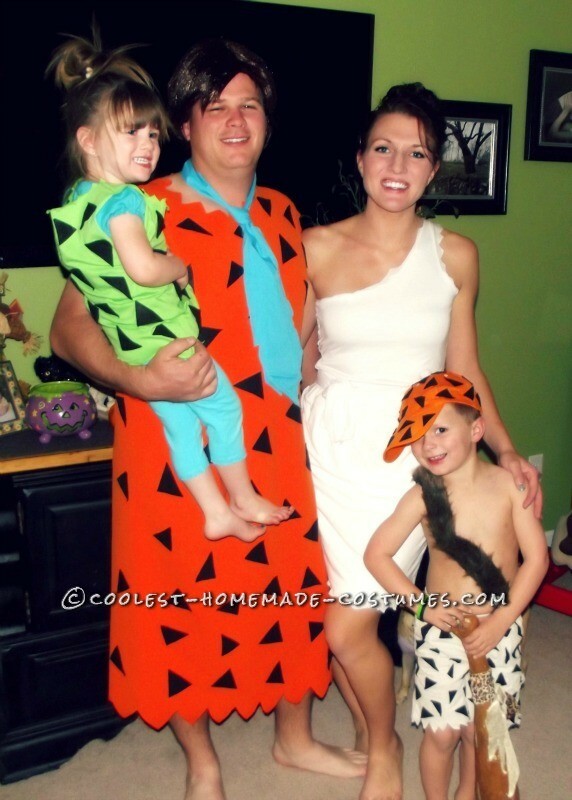 Here they are in their incredible Flintstone Family costume. Have you ever seen a human Tetris before? Now you have! We love this life-size Tetris Family Halloween Costume made by David from Copperas Cove, TX. Best of all, is how these costumes fit together so perfectly. 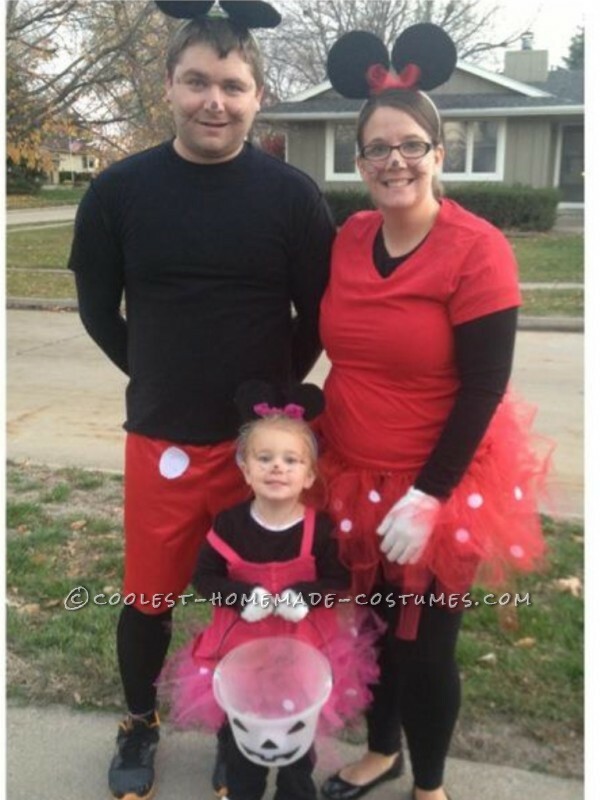 These family Halloween costume ideas of Minnie and Mickey Mouse were inspired by this girl. Because she loves Minnie so much, her awesome mom. Stephanie from Iowa, created these costumes. As a result, there was one happy little lady! 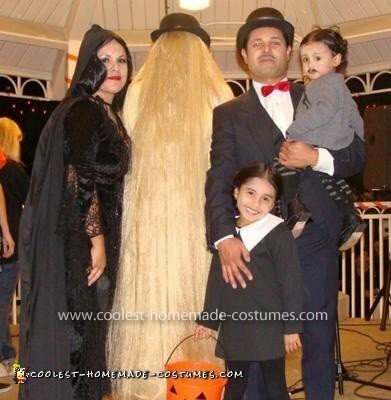 Lulu from Upland California made this awesome Addams Family costume. Most noteworthy is that it won a contest! Seems like this family has their pest problem under control! 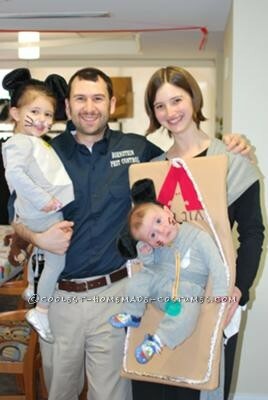 Carrie from Sharon, MA created this cool and hilarious Pest Control Family costume. 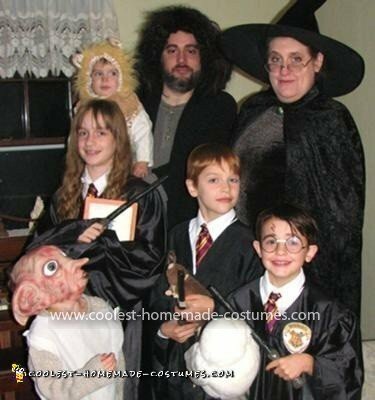 If you have a family of Potterheads, there is only one costume option. And there are so many characters to make an awesome Harry Potter Family Costume. From Hagrid to Dobby, this family has the important characters from The Chamber of Secrets covered. Even more so, Anna from West Michigan did a great job creating a this very inexpensively. Consequently, all that’s left to do is to just flick and swish your wand for a magical Halloween. When you live in the birthplace of pizza, you have great Halloween costume inspiration! 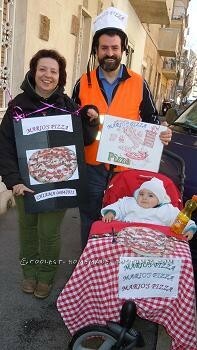 As a result, Martina from Rome, Italy created this awesome Pizzeria Family Costume for her Italian Family. Mama Mia! Who doesn’t love the Jamaican Jellyfish brothers from Finding Nemo? Michelle from North Carolina and her family are big fans! 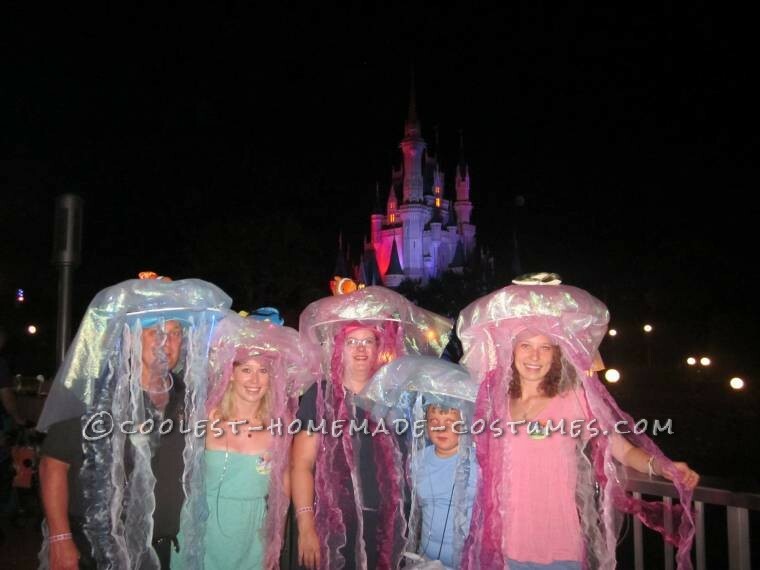 So it was natural to create their awesome Jellyfish Group costume. And remember not to worry about a thing, because every little thing will be alright! As her husband is a former college football All-American, Sabrina from Mount Airy, NC worked around his physique. 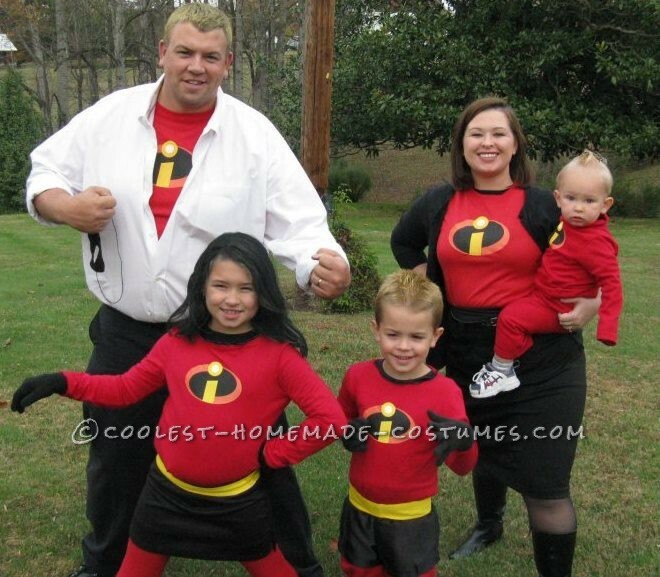 Due to this, she thought it would be a great idea to dress their family up as the Incredibles. Check out her Incredibles Family costume. 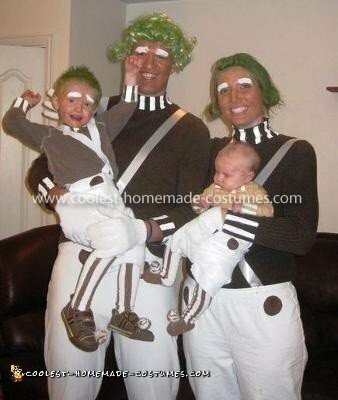 This is an awesome Oompa Loompa Family costume. It looks so realistic and was made by Camie from Spanish Fork, UT, USA. 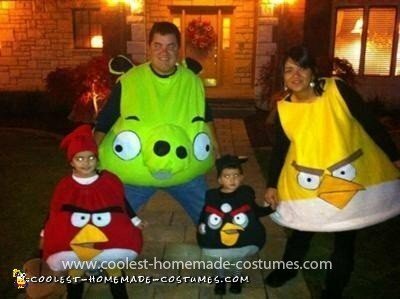 Beware of this family of Angry Birds! Made by Magaly from Orem, Utah, this family costume is wonderful.